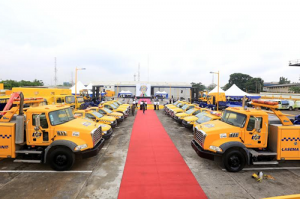 The Lagos State Emergency Management Authority (LASEMA) Response Unit was launched yesterday by the Vice President of the Federal Republic of Nigeria Professor Yemi Osinbajo who ably represented the President of the Federal Republic of Nigeria President Muhammadu Buhari. 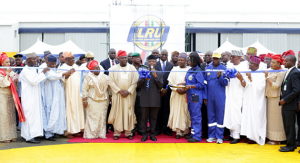 Also present were His Excellency Governor Akinwunmi Ambode, the Deputy Governor of Lagos State Dr Idiat Adebule, the Honourable Minister of Works, Power and Housing Babatunde Raji Fashola (SAN), thee LASEMA General Manager Mr Michael Akindel amongst others. Despite the light shower, the turn out for the launch was impressive as the various MDAs were represented. Eight years ago, a Command and Control Centre was launched. 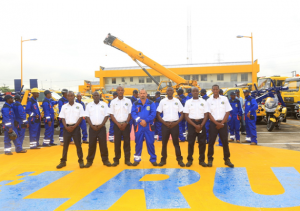 This Command and Control Centre hosted the 767 and 112 emergency lines and ever since then, Lagosians have been able to speak to trained agents manning the phone lines round the clock every single day of the year. 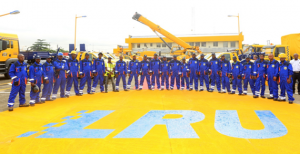 The Lagos State Government is working to expand the good work of the previous administration by upgrading the technology and expanding the service to reduce response times Within emergency medicine, the ‘golden hour’ refers to the period that prompt intervention will prevent death. Too many people lose their lives and sources of livelihood, not from the initial incident, but from the lengthy response times due to inadequate resources. 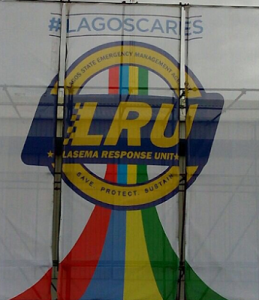 The Lagos State Emergency Management Agency (LASEMA) is empowered by law to coordinate all the first responder activities through the LASEMA Response Unit (LRU) which was launched yesterday by the Vice President. 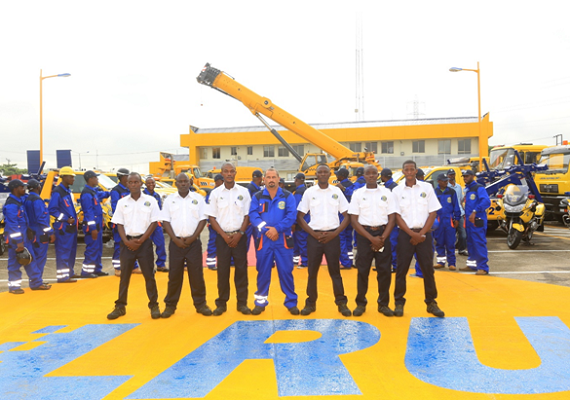 This Unit will respond to emergencies out of its specially designed dispatch center- “the first in Lagos, first in Nigeria” as said by the Vice President Professor Yemi Osinbajo at the launch yesterday. This is no mean feat so the Lagos State Government is working very closely with the private sector; OEMs, technology providers, business process outsourcing companies and emergency training organizations to support the operations for a sustainable and efficient service. 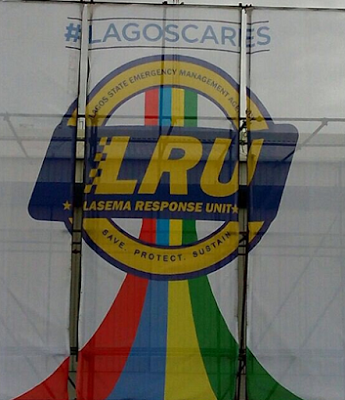 Lagosians are implored to cooperate with the Government by calling only in cases of GENUINE emergencies. Every time what is known as a hoax call is placed, resources and attention are diverted from someone who may be genuinely in need. The emergency numbers still remain 767 and 112. We can’t stop accidents and crime entirely but we can work on a robust and effective response. Lagosians should feel safe at work, at rest and at play; It is indeed evident that Lagos Cares. Previous Gov Fayose Incites Ekiti Hunters: Kill Erring Cow,Herdsmen !